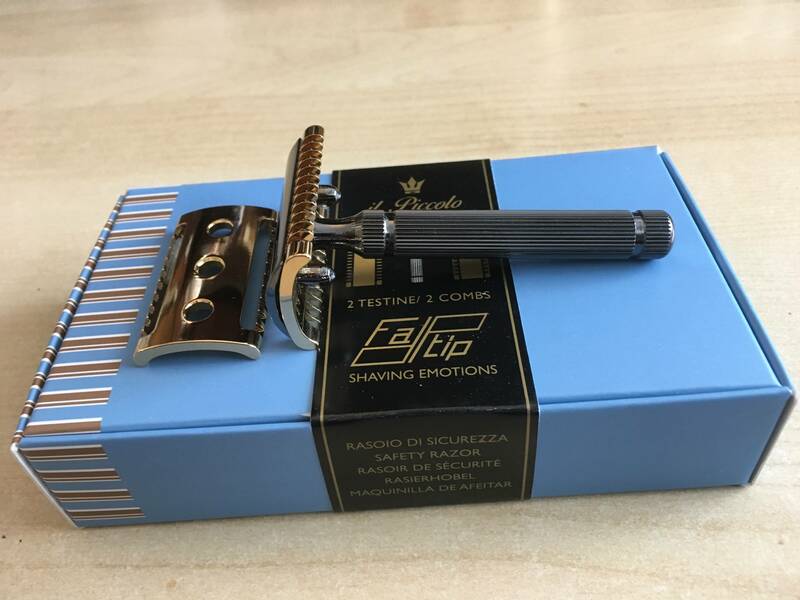 Fatip Piccolo Special Edition. 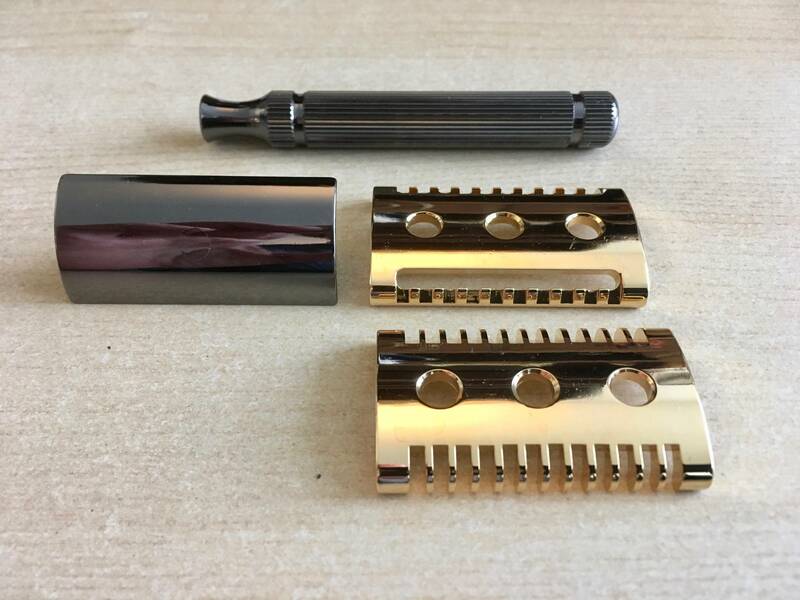 Black Chrome & Gold Plated. 2 Baseplates, Open Comb & Safety Bar. $35.00 shipped CONUS only. No International Shipping. Please PM me if interested. Thank you.